Novelty molded tiki-like resemblance. 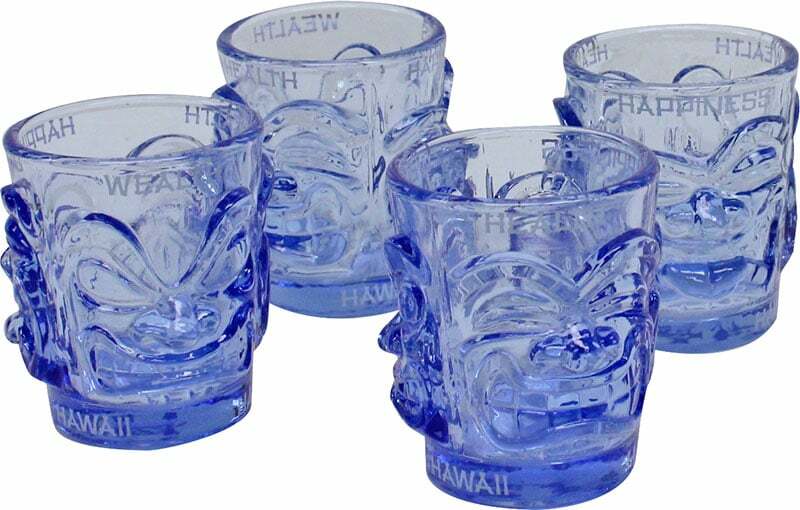 4 Stackable Shot Glasses feature for easy carrying and striking display. Color injected glass that will never fade or scratch off. Available in blue, smoke and green. With Fun name drops, Health, Wealth and Happiness.